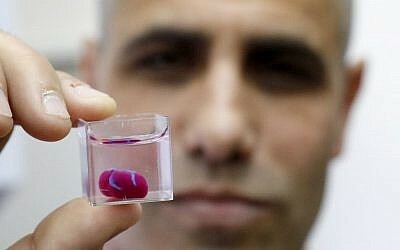 Home Science & Technology Israeli scientists unveil world’s first 3D-printed heart with human tissue! 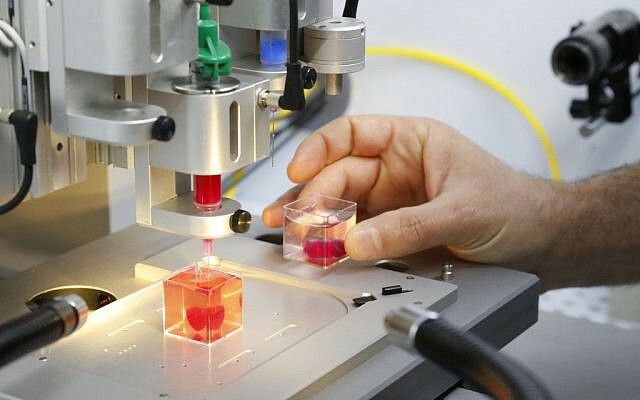 This photo taken on April 15, 2019, at the University of Tel Aviv shows a 3D print of heart with human tissue. 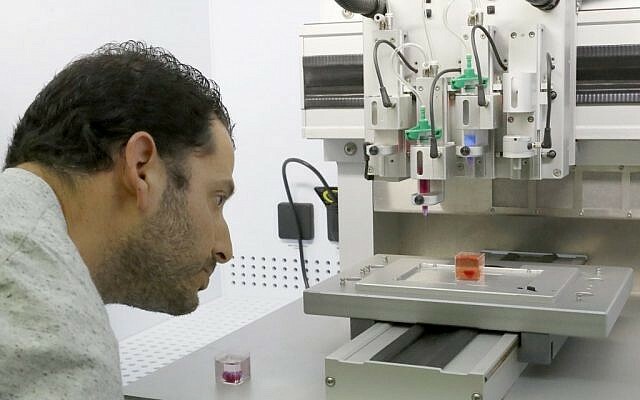 Dr. Assaf Shpira looks at a 3D print of heart with human tissue at the University of Tel Aviv on April 15, 2019. Professor Tal Dvir presents a 3D print of heart with human tissue at the University of Tel Aviv on April 15, 2019.